At the end of January I traveled to Detroit, Michigan to attend the largest and most impactful event of its kind: the 7th annual Sphinx conference “SphinxConnect” and the the 22nd annual Sphinx Competition. This is the fourth year in a row that I spent the first weekend of February in Detroit! and it was the third year in which I was engaged to be a speaker. Beginning next week, Nashville Symphony EDCE staff will hold a series of public information meetings for students interested in auditioning this year for the symphony’s award-winning Accelerando program. Students selected through this year’s audition process will join the program in August 2019. Founded in 2016, Accelerando is designed to prepare gifted young students of diverse backgrounds to pursue music at the collegiate level and beyond. Accelerando seeks to create professional opportunities for musicians from ethnic communities underrepresented in today’s orchestras by providing them with instruction, mentorship, performance experience and assistance applying to music schools. 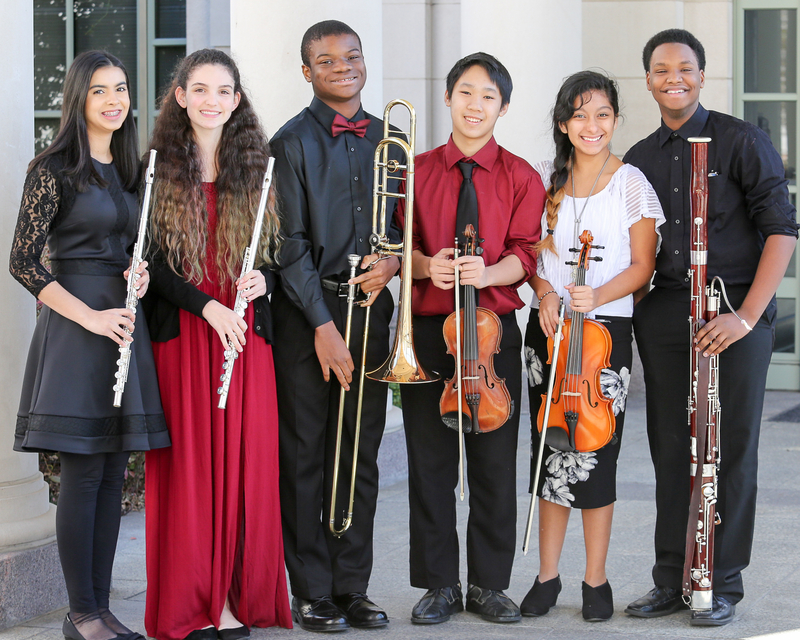 With access to the resources of a major American orchestra, these students will be able to realize their full potential and will form the next generation of orchestra musicians. We are seeking to grow our current enrollment of sixteen students to a total of twenty students in 2019-20. Please help spread the word about this unique, ground-breaking program and help us find these students! 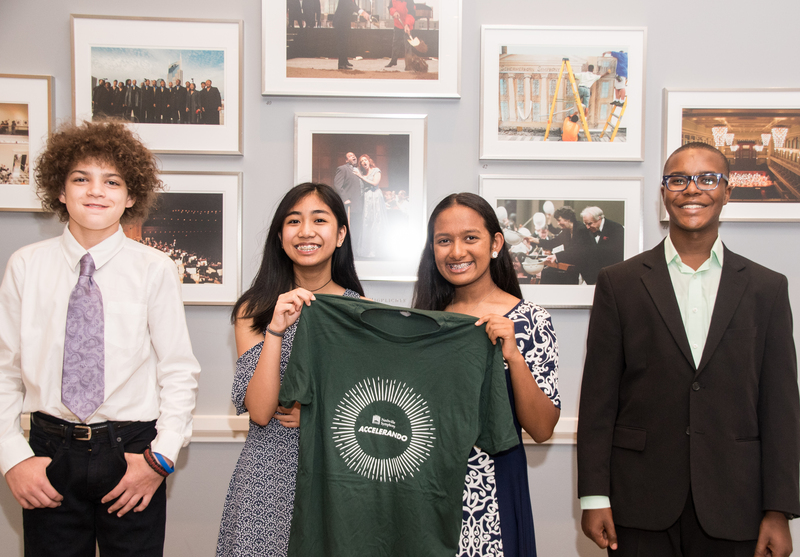 Earlier this month we held a reception for returning students and families in the Nashville Symphony Accelerando program to welcome seven new students and families who join Accelerando this fall. It was an exciting occasion at which we celebrated these talented, motivated young musicians, and officially marked the beginning of new year of working together. The reception brought to a close the long and thorough audition process that began with initial auditions on March 3, through semifinal auditions in April and May, and finalist trial lessons over the summer. We are thrilled to welcome these fine students into the program! I first met Cassidy Fitzpatrick, Vice President for Musician Advancement at New World Symphony, at the 2016 League of American Orchestras Annual Conference, held that year in Baltimore, Maryland. Cassidy approached me after a session where I had spoken about the Nashville Symphony’s Accelerando program, introduced herself, and we made arrangements to speak soon after. This is how a number of important projects I’ve been involved with over the last few years have germinated – through an initial “chance” meeting at a conference. That crucial first conversation has led to a robust and thrilling partnership for the Nashville Symphony Accelerando program, now entering its third year. Last month I traveled to Detroit, Michigan for the 6th annual Sphinx conference – SphinxConnect – and 21st annual Sphinx Competition. SphinxConnect was held this year at the downtown Detroit Marriot at the Renaissance Center. This was the third year in a row I have attended the conference and competition, and my second as a speaker. It was the second week of September, 2017 – the week after Labor Day here in the U.S., which is the traditional opening week for orchestras across the country. In Nashville, we were preparing for our Symphony Gala – a grand, festive event that opened our season this year with the incomparable John Williams conducting the Nashville Symphony in a concert of his own works. Symphony offices were already bustling with activity in preparation for this and so many other aspects involved in kicking off the new season. 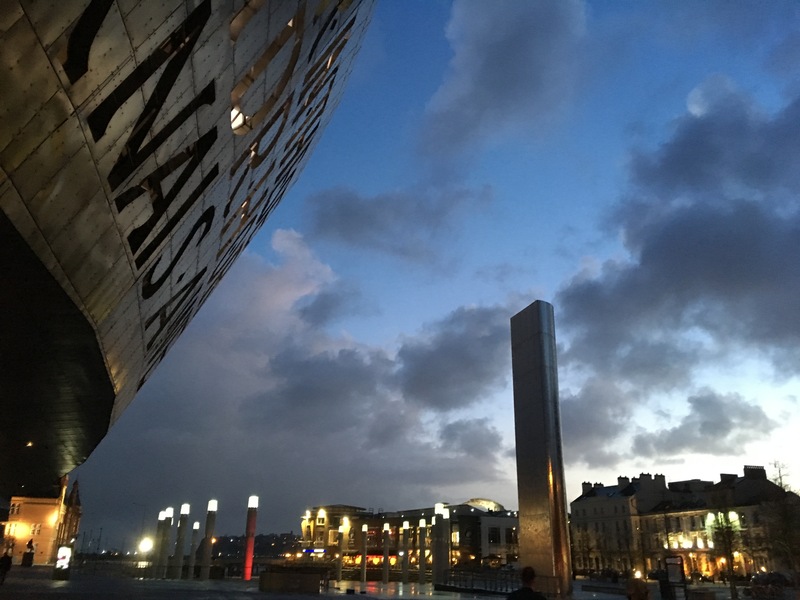 I was already in a state of excitement when an email arrived in my Inbox from Mark Pemberton, Director of the Association of British Orchestras inviting me to speak at their upcoming conference in Cardiff, Wales. 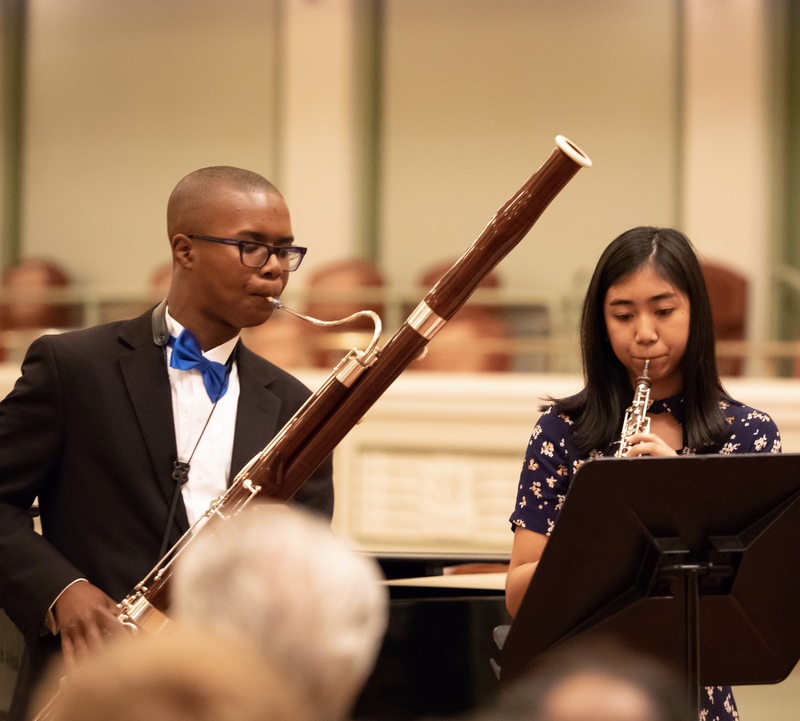 Beginning next week, Nashville Symphony EDCE staff will hold a series of public information meetings for students interested in auditioning this year for the symphony’s award-winning Accelerando program. Students selected through this year’s audition process will join the program in August 2018. We are seeking to grow our current enrollment of nine students to a total of sixteen students in 2018-19. Please help spread the word about this unique, ground-breaking program and help us find these students! Thursday afternoon we held a reception for returning students and families in the Nashville Symphony Accelerando program to welcome four new students and families who join Accelerando this fall. It was truly exciting and heartwarming to spend some time celebrating with these talented, motivated young musicians, and officially mark the beginning of new year of working together. Yesterday’s reception brought to a close the long and thorough audition process that began with initial auditions on March 4, semifinal auditions in April, and finalist trial lessons over the summer. We are very proud of these fine young musicians and what they have already accomplished! 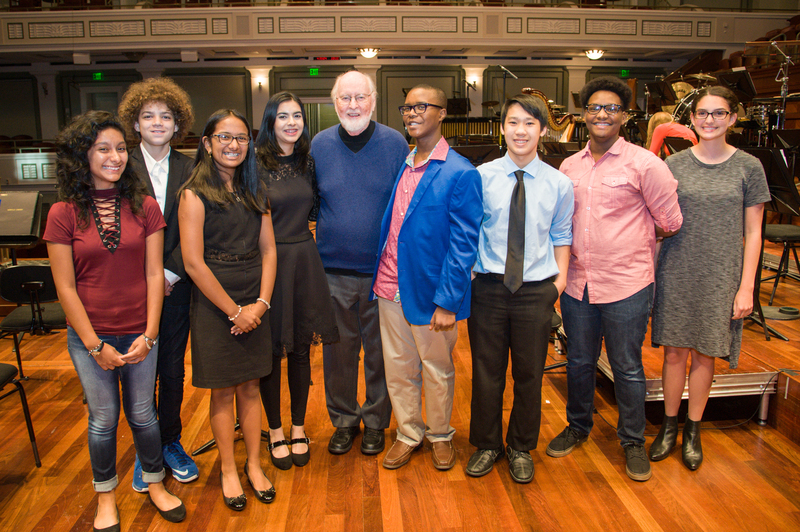 As the Nashville Symphony’s 2016-17 season comes to a close, so does the first year of operation of our award-winning new Accelerando program. Here is a brief review of highlights from our first year, including links, photos, and videos, and a look at what’s ahead as we prepare to move into our second year. 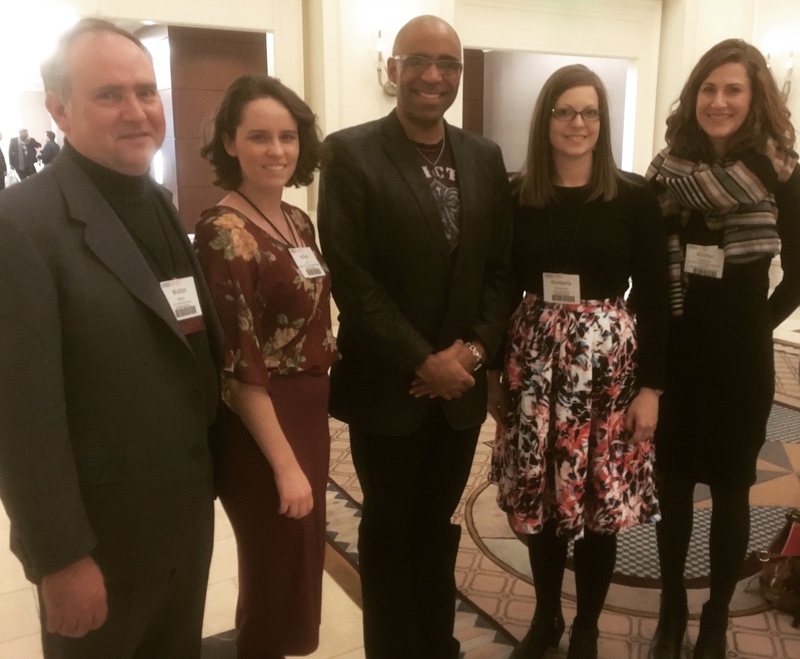 Nashville Symphony EDCE staff with Aaron Dworkin, founder of Sphinx and Dean of University of Michigan School of Music, Theatre, & Dance, SphinxConnect, Detroit, February 10, 2017. (l to r) WB, Kelley Bell, Aaron Dworkin, Kimberly McLemore, Kristen Freeman. Earlier this month – February 9-12, 2017 – our entire Nashville Symphony Education & Community Engagement Department attended the Sphinx Organization‘s 20th annual Competition and 5th annual conference in Detroit, retitled SphinxConnect this year. 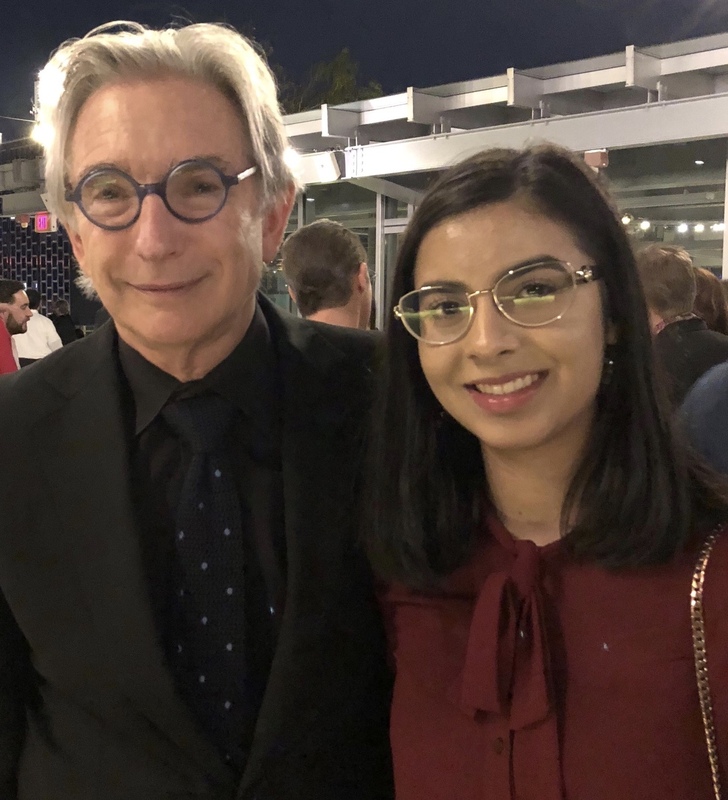 We spent an eventful four days attending concerts, interviews, panel discussions, and presentations, several networking (and celebratory) receptions, and other meetings. Some 500 people were there from all over the country (and some from other countries as well), many of whom only see each other a few times per year. The entire conference was imbued with a heady excitement.